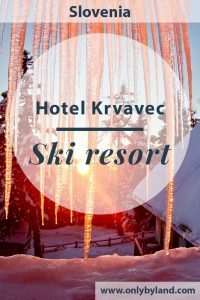 Hotel Krvavec is a property you should consider if you’re looking for Ljubljana skiing or Bled Slovenia skiing options. The resort is conveniently located in between these 2 major points of interest of Slovenia. Visit the Hotel Krvavec website for the best prices and ski passes. To view the latest pictures check the Instagram and Facebook feeds. The staff respond quickly to messages sent through Facebook Messenger. Additionally you can view the location and current Slovenia weather live via webcam. The super moon over @rtckrvavec ski resort in Slovenia. 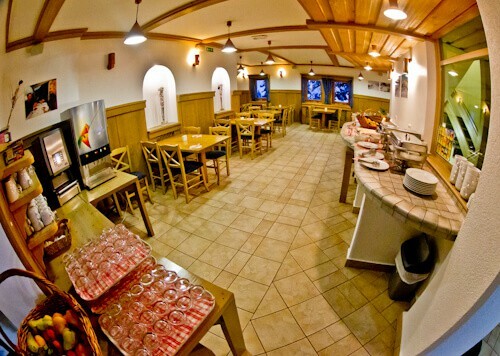 Hotel Krvavec is located in the heart of the Krvavec ski resort. In fact, you must take a ski lift to the property. Krvavec is one of the ski resorts near Ljubljana. At just 24 km away it’s considered to be a Ljubljana ski resort. Additionally, if you’re visiting Lake Bled, skiing is an activity you should consider. It’s only a short drive to the picturesque lake. You must take the ski lift up to the ski resort. If the staff know what time you’re arriving they’ll come meet you and help you with your bags. If not, the ski lift staff will assist you. Once you have ascended in the ski lift, Hotel Krvavec is 100 meters away. 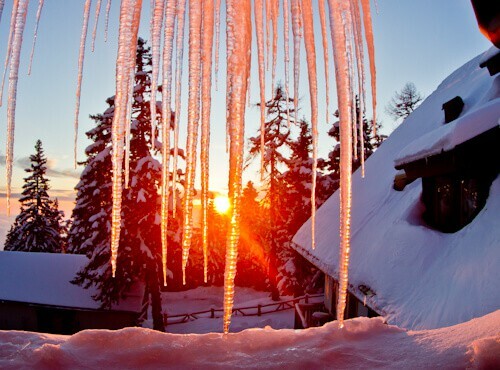 The first thing you will notice is how beautiful your surroundings are, especially during the Slovenia winter. It will be difficult to walk the 100 meters without taking your first photos! Once inside the hotel, you’ll be made welcome and shown to your guest room. The guest rooms are warm and cosy, exactly what you need after a day in the snow. Although you are on the Julian Alps, you can still benefit from complimentary, fast and reliable WiFi. In addition the en-suite bathroom is equipped with all necessary amenities and endless hot water! The view from the window is incredible, especially during sunrise and sunset. After a day on the ski slopes, you’ll be hungry and no doubt thirsty. 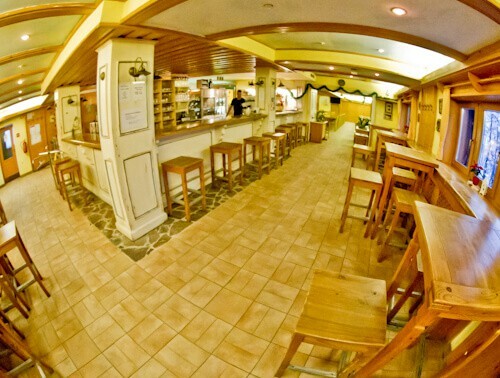 The homely restaurant serves delicious locally sourced and freshly cooked food. To compliment the food, there are local wines as well as local beers. Hot drinks are also available, including some very good coffee. Italy is only an hours drive away, so the coffee culture in Slovenia is heavily influenced from Italy. What is extra special about the restaurant are the friendly staff. Any questions you have about the food, they will do their absolute best that you are satisfied. 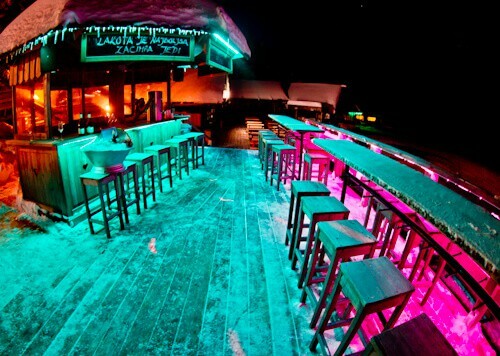 The outdoor bar is perfect for those looking for a little bit of Slovenia nightlife on the ski slopes! It will be cold but you can keep warm if you stand by the open fire whilst enjoying your beverage of choice. In addition to a small selection of alcoholic drinks, you may order a warm tea or coffee. There is also an outdoor terrace where you can enjoy a quieter drink which is perfect for an afternoon of rest when the sun is shining. 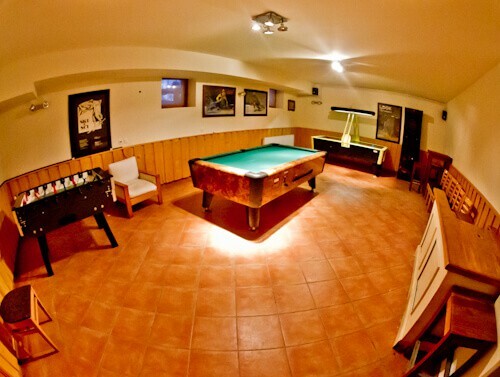 For those enjoying a little family skiing in Slovenia, the games room will be very useful. There’s a pool table, foosball table, as well as a air hockey table. These will keep the kids busy for hours whilst you enjoy the Slovenian wine. In addition the games room is located next door to the restaurant so you can keep an eye on the kids. The wellness center offers 2 Finnish saunas, in addition to an infra red sauna. With the Finnish saunas you have the option of indoor or outdoor. There is also the option to book a massage which will be extra beneficial after a day on the ski slopes. 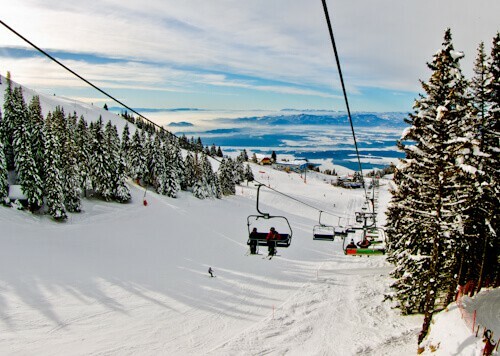 The place to enjoy your Slovenia snowboarding is on the slopes of Krvavec. In addition it’s also possible to arrange cross country skiing or snowshoeing. The latter are the perfect way to photograph the Slovenia Alps because you can walk at your own pace and stop when you see beautiful views and sites. Comparatively, whilst skiing or snowboarding, it’s difficult to stop and take photos of the beautiful surroundings! In addition to the common options, you may try snow biking. You can arrange this with the hotel, it’s a lot of fun and easier than you’d imagine. There comes a time of day when the ski slopes and ski lifts close. This is when the piste caterpillars arrive. 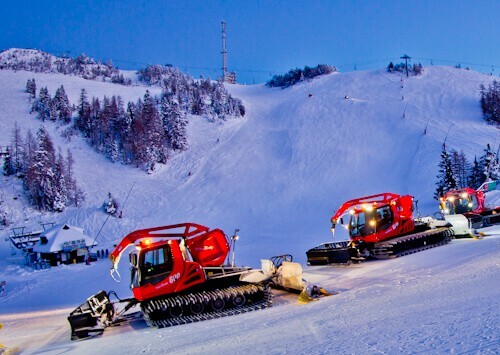 These powerful machines prepare the ski slopes for the next days snowboarding and skiing. They can easily climb even the steepest of slopes. You can arrange with the hotel to be a passenger in a piste caterpillar. It was fun for me as an adult, I’d imagine this would be the most exciting part of the kids skiing holiday in Slovenia! They set off from the outdoor bar so if you don’t want a ride, but your child does, you could conveniently wait in the bar. You will receive a complete buffet breakfast at the Hotel Krvavec. If you’re planning a day on the ski slopes, or even snowshoeing through the Slovenia Alps, then I recommend you indulge in this buffet! You’ll find hot meats, cold meats, fresh breads, sweet pastries, cheeses, cereals and yoghurt, as well as fresh fruits. Fruits juices are also available in addition to the hot coffee and tea. The kids will be happy to know there is hot chocolate available. You can see from the Slovenia map how close Krvavec is from Ljubljana and Lake Bled. In fact, because Slovenia is a small country, all ski areas in Slovenia are close to Ljubljana. Additionally, Slovenia is a short drive from Italy and Austria and is comparatively a much cheaper destination. Cheap skiing in Slovenia can be found at Krvavec. Enjoy your stay at Hotel Krvavec Ski Resort, Slovenia – The best place to ski in Slovenia! A good reason to check out the hotel website is to view the Krvavec ski map. You’ll be able to view the different slopes available. There are slopes for beginners and kids, up to the more advanced slopes. In addition you can book your ski pass with the hotel, as well as your meals. You should definitely consider skiing in Slovenia! What to see in Ljubljana, Lake Bled and Lasko.